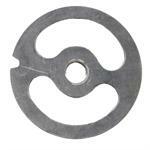 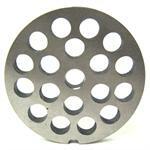 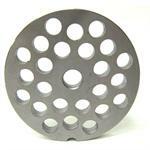 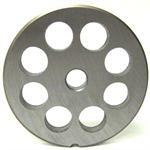 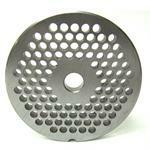 This 3-hole plate is used to make large chunks of meat such as stew meat or chum. 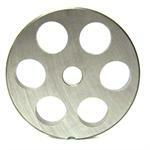 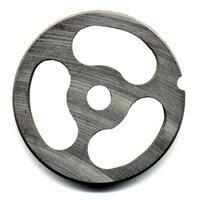 Tip: Use a spacer (2 hole) or kidney (3 hole) plate for the first grind to make larger chunks. 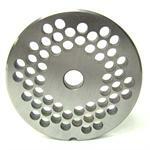 This helps the feedscrew move the meat out of the cylinder faster on the second grind. 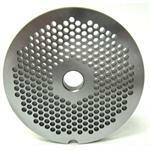 This helps prevent mushy meat.